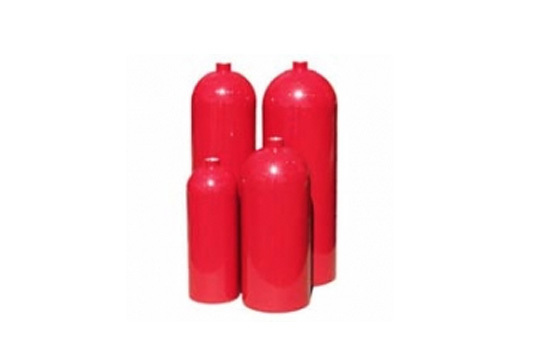 Luxfer Gas Cylinders supplies the broadest range of high-quality, high-performance aluminum fire extinguisher cylinders to the best-known fire equipment manufacturers around the world. With an unmatched record for safety and performance, Luxfer fire extinguisher cylinders provide unsurpassed service to users around the globe. Cylinders are manufactured from Luxfer’s exclusive L6X® aluminum alloy, our proprietary formula of 6061 alloy optimized by Luxfer metallurgists to improve its durability, fracture toughness and resistance to tearing and cracking. Because of unique performance characteristics of L6X alloy, Luxfer has consistently passed all extensive, rigorous testing performed by major global gas companies and met or exceeded requirements set by every major cylinder regulatory authority in the world. Widely used in more than 50 countries, the more than 40 million cylinders Luxfer has manufactured from L6X alloy have an outstanding record for safe, dependable performance. Up to 40% lighter in weight than comparable steel cylinders, Luxfer L6X aluminum fire extinguisher cylinders are portable, highly corrosion-resistant and non-magnetic.